Yesterday I had the pleasure of attending a lunchtime talk by actor Richard Roxburgh at the Australian National University (ANU) in Canberra. 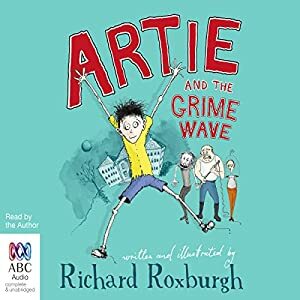 Richard is an ANU economics graduate and now a children’s book author, in Canberra to launch "Artie and the Grime Wave ". He is best know for his role in TV comedy "Rake", as Cleaver Greene, a character usually claimed to be based on Sydney barrister Charles Waterstreet. Roxburgh asserted that this was untrue and the character was based on someone who drank at the ANU bar.